The Last Dragon came out around the same time that I started doing martial arts. I was about 14 years old when TLD was released in theaters, and I pretty much wanted to be Bruce Leroy after seeing that movie. 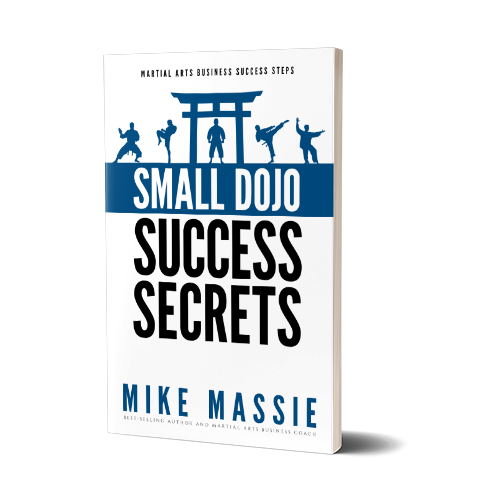 In fact, I think I even started wearing pieces of my martial arts uniform around (and if I could have gotten my hands on a coolie hat, I’d have been wearing one for sure). Well, this year marks the 30th anniversary of the movie that has now reached cult classic status, and Taimak himself was kind enough to come on the show for an interview. In this interview we discuss how getting the role impacted Taimak’s life, how the movie addressed racial stereotypes in general, his early training with Grandmaster Ron Van Clief, the influence TLD has had on popular culture, and his current projects. By the way, Taimak will be making special appearances in several cities across the country at selected theaters that are hosting special screenings of TLD. 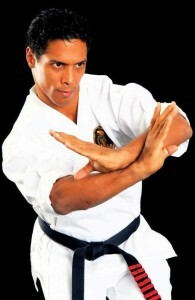 Be sure to visit his site at http://www.iamtaimak.com/appearances/ for information on show times and to purchase tickets. Also, in The Tip of the Week, I discuss how to avoid legal troubles when choosing a name for your school. 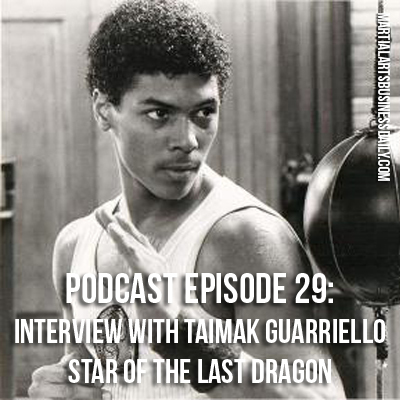 I have with me on the podcast today, Taimak, who is the star of The Last Dragon. So, Taimak – welcome to the show. TG: Hey, how you doing Michael? MM: Welcome to the show, I’m so excited to have you on, because as a lot of people know it is the 30th anniversary of The Last Dragon. That movie came out when I was about 14, and that was about the time that I started martial arts, and the movie was very influential on me as a young man. I really looked up to Taimak as a kid. Basically, you were one of my martial arts heroes as a young teenager. TG: I’m happy to hear that. MM: So speaking of the 30th anniversary, you starred in that movie with Vanity, and also the late Julius Carry, and tell me – as your first acting role, how did starring in that movie change the trajectory of your life?